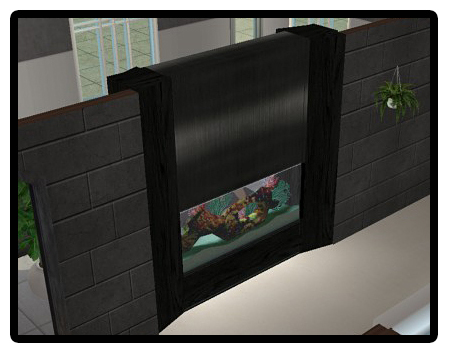 This is a new and original way to use an aquarium: as a part of a wall! 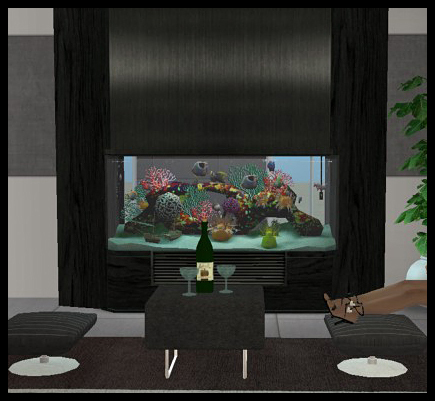 Now, your fishes are the center of your decoratives strategy, visible from two different rooms! Your neightboors won't believe it ! Please read my policy before using this mesh. I'll probably upload some recolors in a few days. EDIT 05/10: I've removed the first file because it can't be recolored (prob with GUID )...Re-Download this new file if you want to use my recolors (coming soon ) or to recolor it by yourself. Thx! 1768 people have said thanks to lastrie for this download.